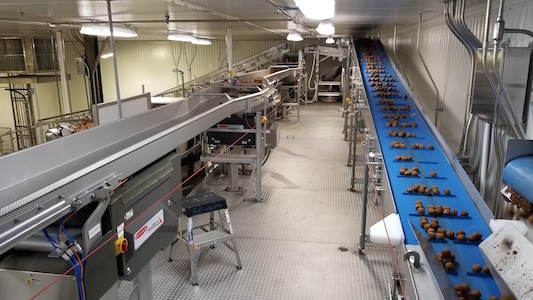 We offer a full selection of sanitary food conveying system components, from simple conveyors to complex system controls to turnkey sanitary conveyor systems. Our team brings you the right tools with the most comprehensive, thorough process to get you the right performance. When we’re managing a turnkey sanitary conveyor system project, our team embraces the needs and goals of our client as our own. Accuracy starts with our detailed proposal document that outlines the project’s objectives and how we can help, identifying specific sanitary conveyor and equipment options for our client’s process. We provide information on how our systems comply with food safety regulations that could potentially impact our client’s decisions. 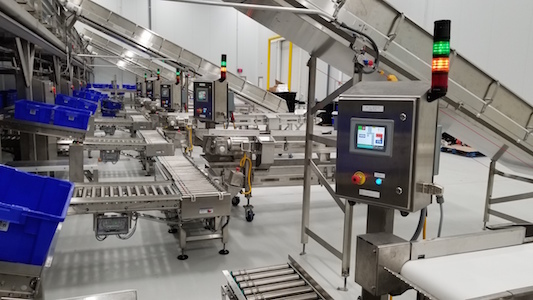 Our ability to handle unique challenges is the primary reason many companies have turned to us for sanitary conveyor systems. SAFETY - Sanitary conveyor systems users have no margin for error, and we take our responsibility in their automation process very seriously. SCOPE - We provide an incredibly detailed proposal which outlines products handled, special considerations in handling, rates, surges, accumulation needs, and operations. Accuracy in this document is the key to success. SCHEDULE - Our goal is to remain on schedule with what we’ve promised to you when we start the process. Our proven process is tailored to maintain accuracy in the schedule. BUDGET - Our projects stay on-budget since our project management and engineering skills are included in the initial pricing. You can trust the budget we present for your project scope. PERFORMANCE - Not only do we design for your expected product throughput, we stand behind our promise to deliver a system that meets all expectations. We guarantee the performance on our turnkey conveyor lines and don’t receive our full payment until it’s proven. The worst thing that could happen to a food producer is a recall. Our team understands that, and we take our responsibility to provide the absolute latest in sanitary design technology and the most updated regulation advice very seriously. 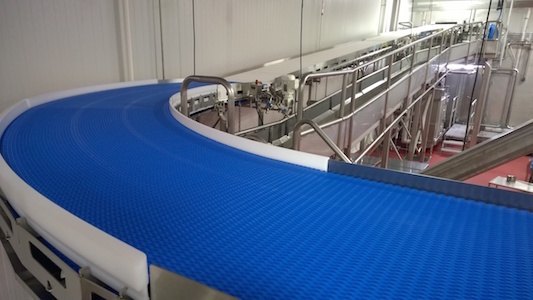 Talk to our team today about your project and sanitary conveyor needs. CONSTANT INNOVATION: Because we work across many different industries and maintain relationships across different vendors, we have access to the most ground-breaking ideas in automation. We’re able to apply those ideas to our clients’ projects, enhancing our clients’ automation techniques across the nation. 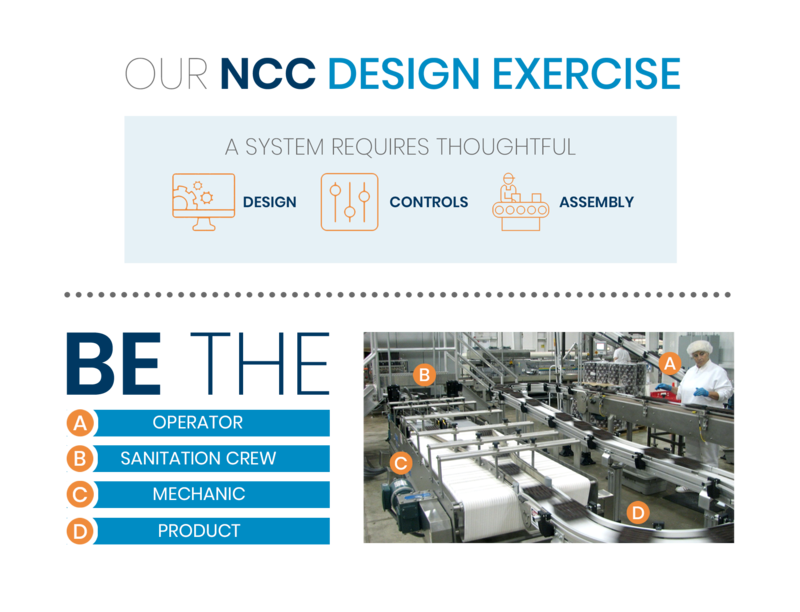 UNDERSTANDING: The team at NCCAS understands every component of a sanitary conveyor system, from automation process goals, to the design of the system, to engineering controls, to integrating equipment, to operating the machinery. That knowledge gives us a unique perspective to identify and avoid issues upfront in the process design. 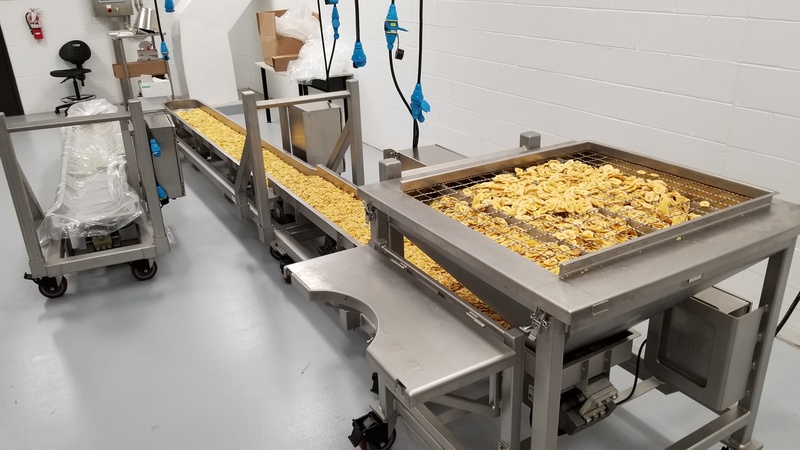 EXPERIENCE: Our company has 30 years in the business of food producer conveyor systems, and we’ve been focusing on sanitary conveyor systems that entire time. The number of years of experience in our employee-owned company surpasses 200 years when added together. We love what we do, and we take pride in our work. APPLICATION-SPECIFIC CUSTOMIZATION: When it’s needed, our engineers are able to customize applications, designs, controls, and more for our clients if what is available fails to meet requirements. This bonus of working with NCCAS gives customers the peace of mind that no matter what challenges may arise, our team can handle them – one way or another. Give us the chance to earn your business. Contact us today.